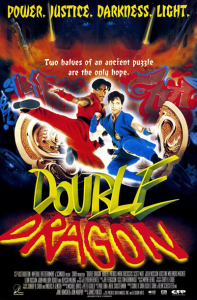 20 Videogame Movie Adaptations That Are Worse Than Super Mario Bros. – A Critical Hit! 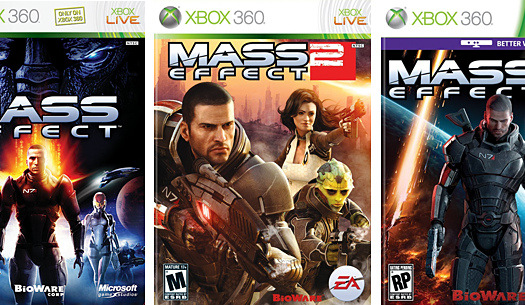 In late 2012, I forced myself to watch every videogame movie adaptation ever released theatrically in the US – all thirty-two of them – at a rate of one per week, just to say I had. It was an eight month period that continually challenged my resolve, and my sanity. 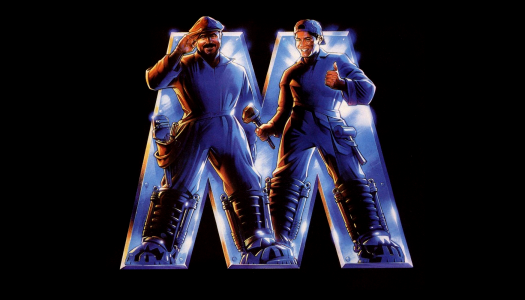 Upon the successful completion of my goal, one thing continued to mystify me: why does Super Mario Bros. continue to be considered the worst videogame movie adaptation of all time, when there are so many others that are so much worse? Mind you, Super Mario Bros. is by no means a great movie, and the intro segement tacked on by executives is admittedly awful. But the film as a whole is undeserving of its bad reputation. 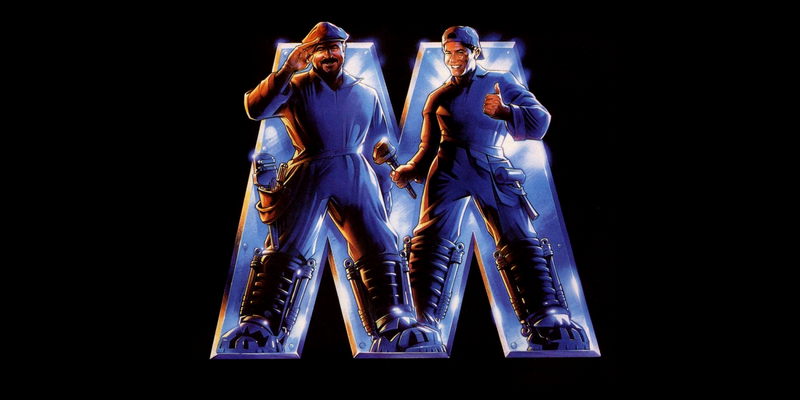 Despite a troubled production, Super Mario Bros. features competent writing, competent directing, and better than competent performances – a trifecta that few other videogame adaptations can claim. 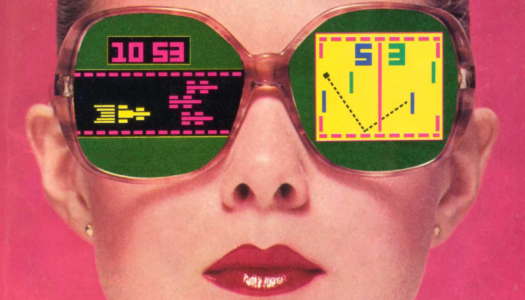 To celebrate the 20th anniversary of its theatrical release, here are twenty other theatrically-released videogame movie adaptations that are worse than Super Mario Bros. 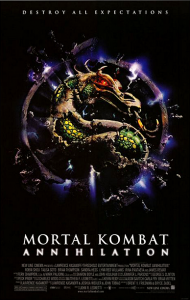 Instead they went with Mortal Kombat director Paul W.S. Anderson, who pitched them on a movie that would contain none of their characters. He delivered a script filled with plot holes and possibly one of the stupidest twists in movie history (“I just remembered I’m the villain!”), and Capcom never complained about the quality. The most memorable scene in the film? The laser hallway sequence borrowed from Romero’s script. 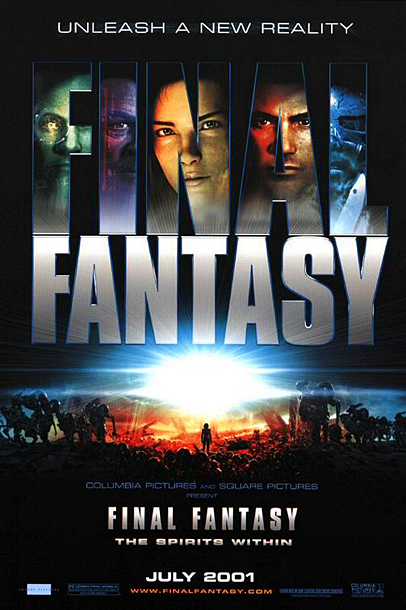 The film opens with Lara Croft and friends going on a dive to explore an underwater temple. On the way, they pass a shark that growls at them. When the temple inevitably begins to self-destruct, Lara takes out a knife and slits her wrist. The blood attracts a growling shark, which she punches in the face, and rides to the surface. As of this writing, the first Silent Hill is possibly the best theatrically-released videogame adaptation so far, even if the third act stopped making any sense. 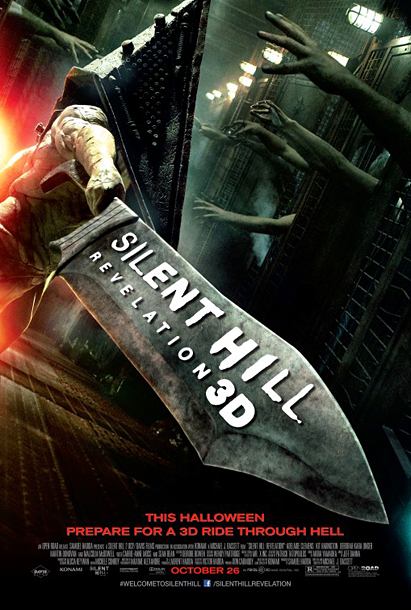 Silent Hill: Revelation 3D attempts to follow this up with a story that refuses to make sense right from the beginning. 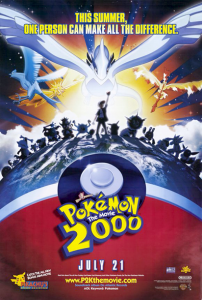 Its biggest accomplishment is being a rare sequel that actually makes less sense if you’ve seen the first one. 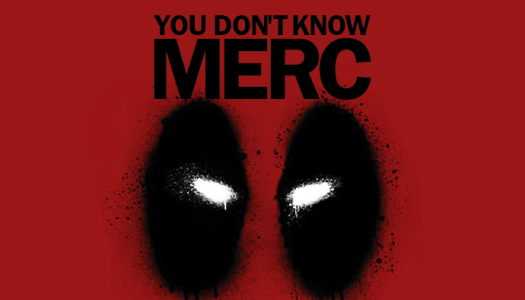 This one actually starts out as a sufficiently competent take on the stock sci-fi/horror plot of a team of marines being whittled down in numbers by monsters. But then in third act, the story takes a sharp turn into stupid when it’s revealed that a scientist has discovered the gene that determines whether a person is good or evil. Let me say that again: in this world, people are literally born genetically good or evil. And it’s been scientifically proven. With science. Paul W.S. Anderson (not to be confused with Paul Thomas Anderson or Wes Anderson) is actually a pretty good director. His biggest weakness is that he’s a terrible writer, and his movies would be improved if he stopped writing his own scripts. So what happens when Anderson is unavailable to direct due to commitments on AVP: Aliens Vs. Predator, and hands his script off to a second unit director to helm? 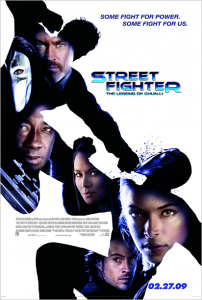 A movie where the fight sequences are now just as barely comprehensible as the story itself. 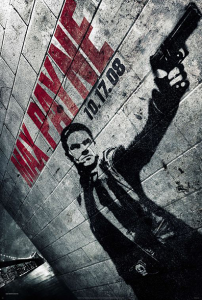 When Sin City was being filmed, some Max Payne fans accused it of ripping off the game, apparently unaware that the Sin City comics came first. The Max Payne movie could’ve been a big hit simply by aping the Sin City formula, but they didn’t even keep the noir-esque narration, because narration in movies is so passé. 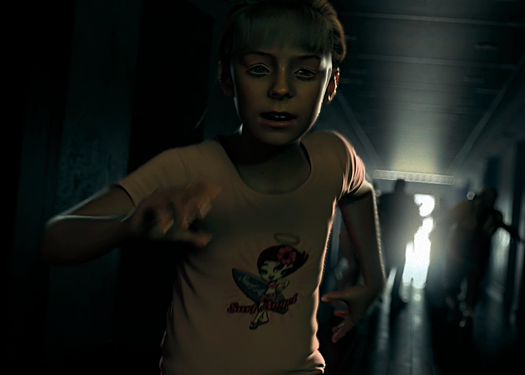 Instead we get a movie about a street drug called “Valkyr,” which causes people to hallucinate visions of valkyries. Except apparently no one told the director that not only aren’t valkyries winged demons, but they’re also traditionally female. Though by all means not a great movie, In The Name Of The King is notable for being the first Uwe Boll-directed (non-comedy) videogame adaptation to be actually watchable. Yet it’s also the one that won him a Razzie, perhaps to make up for their having completely overlooked his previous films. I guess in some ways the Razzies aren’t all that different from the Oscars. Once again, Paul W.S. Anderson is only able to contribute a script. 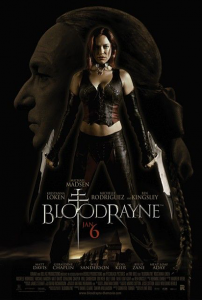 But this time, the script was directed by Russell Mulcahy, best known as the director of Highlander. However, he was also responsible for Highlander II: The Quickening. The beginning and ending of Resident Evil: Extinction are delightfully insane – without a doubt, these are two of the greatest scenes in the entire series – but the rest of the film is disappointingly forgettable and dull. 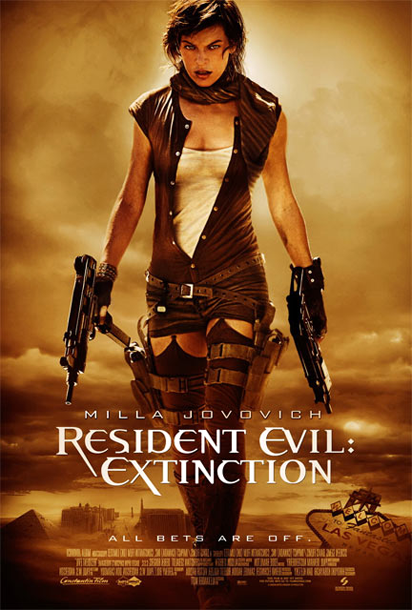 Extinction is a jelly-filled donut, if you replaced the jelly with boredom. 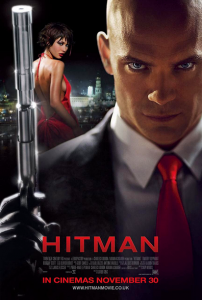 Agent 47 and another suited man pull out dual pistols on each other in an empty subway car. Suddenly two more suited men appear out of nowhere, similarly brandishing dual pistols. But rather than the three just pointing their guns at Agent 47, they also point the guns at each other. Agent 47 calmly suggests: “How about we die with a little dignity?” Somehow they all know what this means, and in a synchronized motion put away their guns and pull out identical pairs of blades. Then they knife fight. This scene was shot by a fill-in director assigned by the studio, and seems just as out of place as you’d imagine. 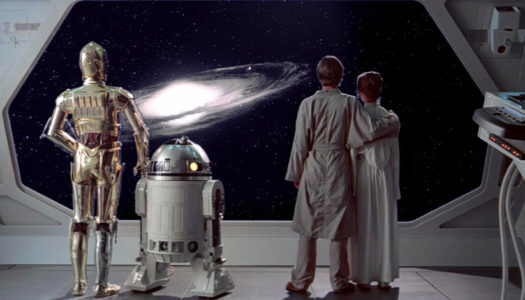 Yet it’s also the most memorable scene in a movie that makes less sense the more you think about it. Directed by Final Fantasy creator Hironobu Sakaguchi himself, Final Fantasy: The Spirits Within proved that videogame writing is received less favorably when held up to the same standards as movies. If the endless exposition and technobabble of Spirits Within had appeared as text in an RPG, most of us would’ve been mashing the skip button, but we still would’ve thought it was deep, man. But when Aki encounters the Eighth Spirit in a dream, why does unlocking the final piece of knowledge required to save the universe involve her being tentacle raped through her clothes? A collector named Lawrence III has taken the Pokémon slogan “Gotta Catch ‘Em All” to heart, and is closing in on several one-of-a-kind Pokémon. Except, it turns out there are certain Pokémon that aren’t supposed to be caught because they’re important to the ecosystem somehow. Misty is disgusted when she hears Lawrence III talk about his collection. “The way you talk, Pokémon are just things to be collected! Like dolls, or stamps!” Or trading cards? Could these mixed messages be any more confusing? 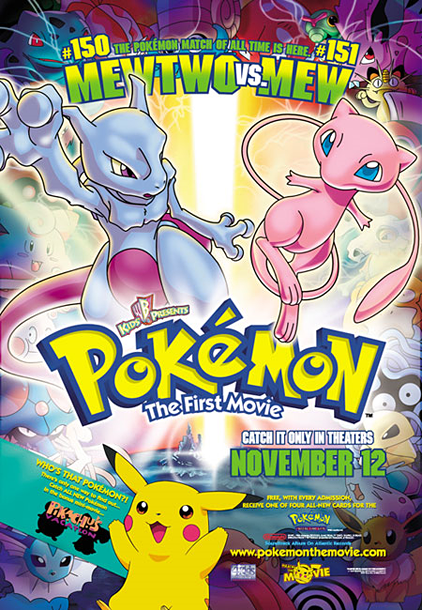 Mewtwo is a genetically engineered Pokémon with a human-level IQ, and thus doesn’t want to be somebody’s pet trained to dog-fight other Pokémon. Naturally, this means he’s the villain. In the climatic final battle, Ash and his friends come to the realization that it’s wrong to dog-fight their pets, and Ash dies while trying to stop a fight. However, it turns out that Pokémon tears have magical healing properties, and their crying revives him. Somehow this convinces Mewtwo that he’s the one who was wrong, and he erases their memories of this whole ordeal, so that they’ll go back to happily dog-fighting their pets. You think I’m making this up, but I’m not. Watch the movie again. 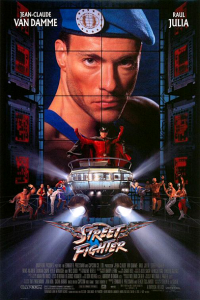 Raul Julia is amazing in this as Bison, and that’s about all that’s amazing, unless you count how amazingly awkward Van Damme is at delivering all of his lines. The only way I could tell that Guile’s weakly written and poorly delivered inspirational speech was intended to be an inspiration speech was because they were playing the “inspirational speech” music while showing reaction shots from the soldiers. You know something’s wrong when Chun Li’s monologue is so dull – due to the filmmakers breaking the age-old rule of “show, don’t tell” – that we relate to Bison’s boredom. After Paul W.S. 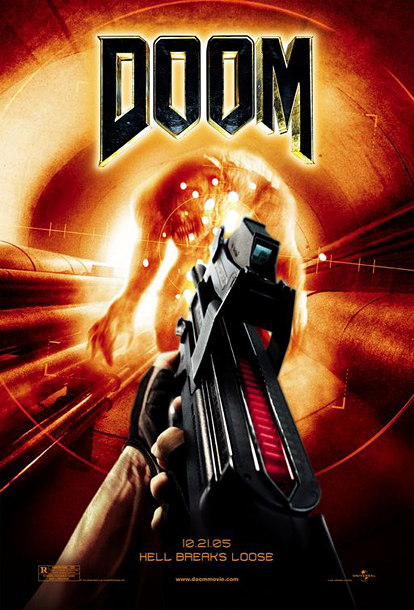 Anderson directed several videogame movies, Uwe Boll started directing videogame movies. 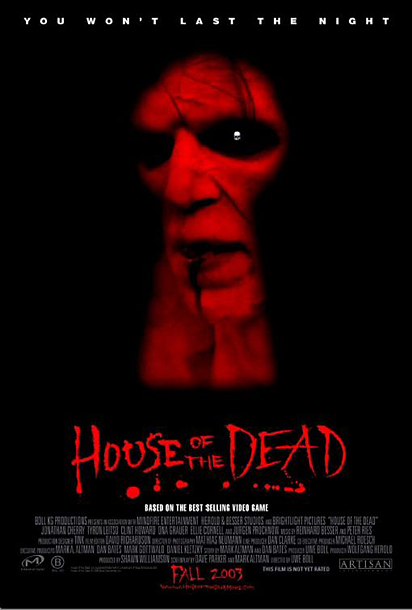 After Anderson directed a zombie movie loosely based on Resident Evil, Boll directed a zombie movie loosely based on House Of The Dead. 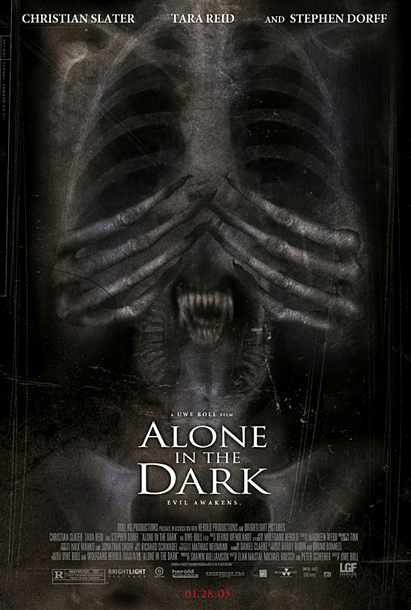 After Anderson directed a movie with xenomorphs called AVP: Aliens Vs. 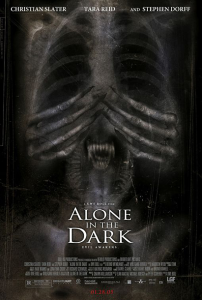 Predator, Boll decided to put xenomorphs in Alone In The Dark. The difference between the two directors? Anderson knows how to direct action scenes. 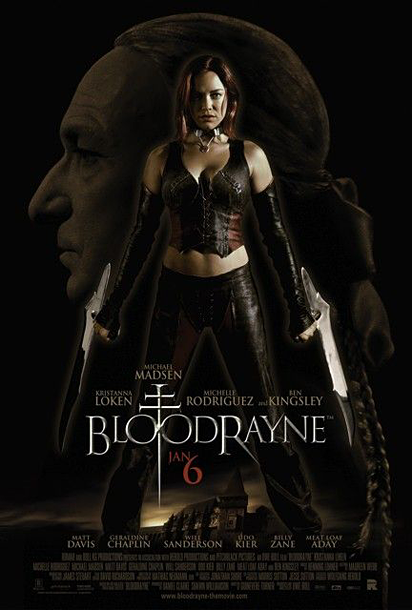 Continuing the theme of Uwe Boll’s secret crush on Paul W.S. 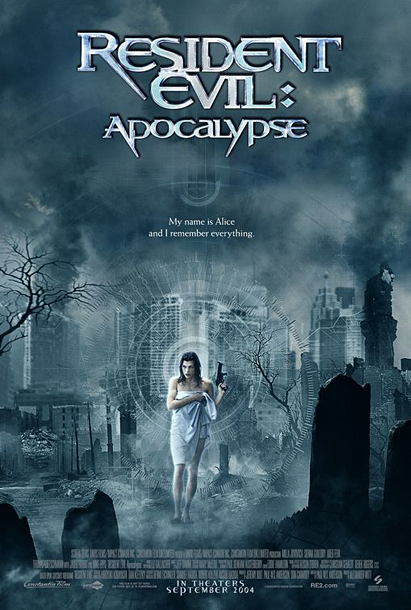 Anderson, Michelle Rodriguez from Resident Evil is cast in a supporting role, and lead actress Kristanna Loken plays a convincing Milla Jovovich stand-in. 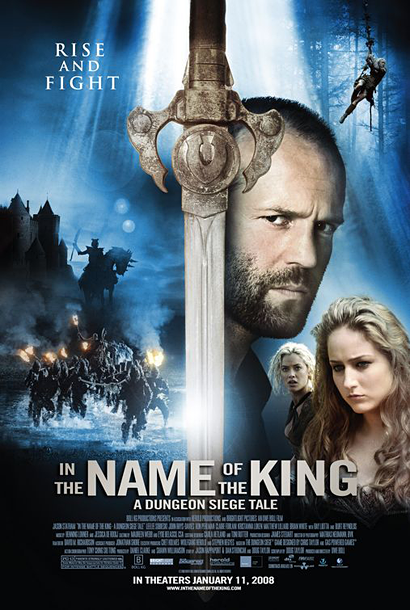 Uwe Boll loves his action scenes. That might explain why they’re never tightly edited; he wants them to go on as long as possible. His attempts at gore end up being campy, because each shot lingers long enough for you to realize it’s movie makeup. It takes a strange kind of talent to make action scenes boring. From the director of Doom, The Legend Of Chun-Li is a grim ‘n’ gritty reimagining of Street Fighter. In this world, Bison was born genetically good, but he felt this goodness would hold him back in his pursuits. So he married a woman, got her pregnant, and brought her to a mystical cave, where he murdered her by thrusting his hands into her pregnant stomach and ripping the baby out. Then, using the cave’s magic, he placed all his goodness into the baby, so that he’d no longer have it. 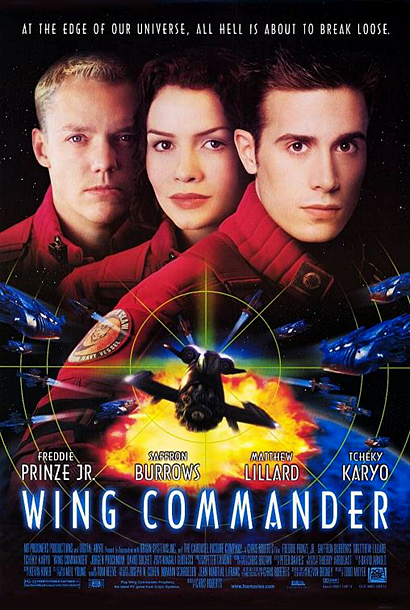 Directed by Wing Commander creator Chris Roberts, Wing Commander is one of the most faithful adaptations of a videogame to film. Unfortunately, faithfulness doesn’t mean much when the source material is poor to begin with. Like Final Fantasy: The Spirits Within, Wing Commander demonstrates how writing in videogames is often held to a lower standard than movies. It certainly doesn’t help that Mark Hamill and Tom Wilson were much better at selling poorly written dialogue than Freddie Prinze, Jr. and Matthew Lillard. After defeating a bright yellow tattooed robot (Cyrax, but we’re never told his name), the tattoo transforms into a small dragon and flies away. The robot then detonates, but the heroes manage to outrun the resulting fireball. Meanwhile, Raiden has started dressing like Billy Idol. 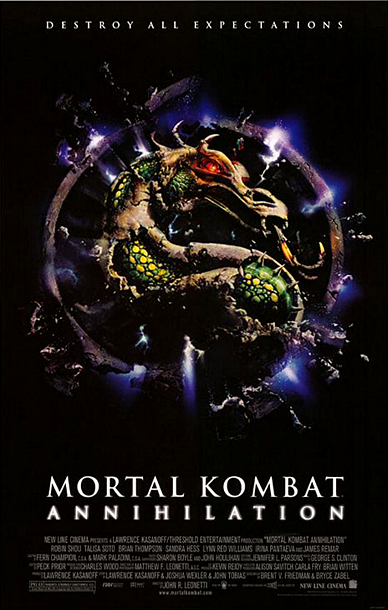 During a serious heart-to-heart, Nightwolf tells Liu Kang he must test his courage and find his “animality.” He finds his animality in time for the final climatic fight, which could’ve been a scene from Primal Rage: The Movie. 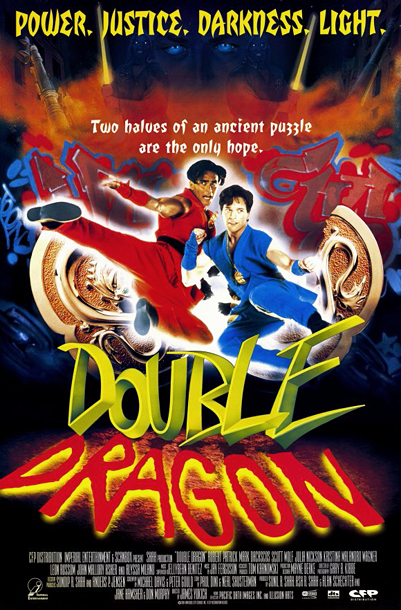 I’m convinced that Double Dragon wasn’t just written for kids, but was actually written by one of the screenwriters’ kids. I just described the first ten minutes of the movie. It doesn’t get any better from there. Uwe Boll’s House Of The Dead is the worst theatrically-released videogame movie ever made. It’s entirely possible that Boll has a direct-to-DVD videogame movie that’s even worse, but I refuse to watch them in order to find out. You forgot King Of Fighters, a movie so bad it makes the original Street Fighter movie an Oscar contender in comparison. 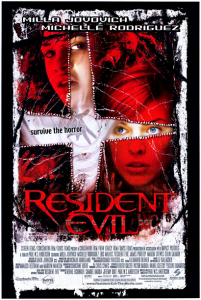 I was only covering the movies that were released theatrically. I might have ended up in a padded room if I’d had to watch all of the direct-to-DVD ones on top of that.